It's that time again! Many stores will be starting their Semi Annual Sales soon! 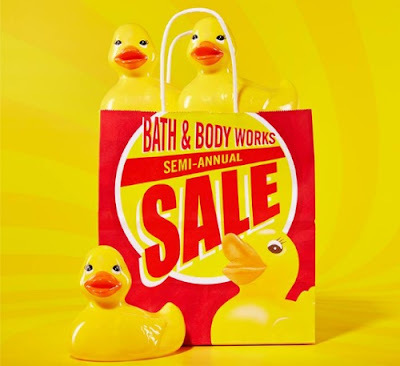 Bath & Body Works Semi-Annual Sale just started today! Save on products throughout the store. Deals include: up to 75% off select items, select Signature Collection body care is 3 for $12 or $5 each, select hand soaps are $3.50 each, select 3-wick candles are $13.50 each, wallflower fragrance bulbs are $4 each. Also look for a $10 off $40 coupon in your email (valid until June 12) if you are a newsletter subscriber or here for their coupon post on Facebook. This sale is while supplies last, but usually it lasts about a month, go early for the best selection. Click here to find a Bath & Body Works near you.